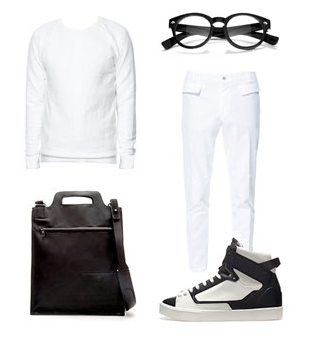 Rebel Visionaire: #Homme: Black an' White. All pieces are from ZARA. Black and white is one of my favorite combos, for it can be extremely bold and provogueative if styled well. Warning! Do not overthink it. Mixing and muching black and white sometimes can turn against you if you go too far!